PATRICK MOREL is renowned worldwide as a falconer Master. He has an innate sense of hunting, is a modest expert on ‘grande quête’ pointing dogs (particularly English pointers) and is himself a fine shot. 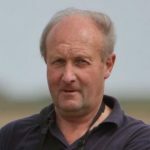 He is the former President of the Belgian Falconers Association (Club Marie de Bourgogne), and was previously President of the International Association for Falconry, when he was instrumental in bringing together 60 countries which practice falconry. Patrick’s idea and initiative and the teamwork of a group of equally passionate experts led to the official classification of falconry as ‘intangible cultural heritage’ during the General Assembly of UNESCO on 16 November 2010. The French edition of The Art of Falconry, published in 2013, has been a bestseller and recognised as the best book on hunting in French.